There is no arguing that I have a shopping problem. I spend money whenever and wherever I can. When, I’m bored I want to shop, when I’m happy I want to shop, and most definitely when I’m feeling a little bit bummed…I want to shop. But believe it or not, it gets a little bit (or for my husband a lot) worse. I have a handbag obsession. Yes, most women have a small collection of handbags to go with different outfits and for different seasons. I on the other hand have purses because they are beautiful, fun, cute, unique, sparkly, furry, soft, structured… and I’m pretty sure you get the point. Today, I am sharing a few I hope to be standing in front of the mirror with very soon and hopefully I’ll be a tad of a bad influence and inspire you to expand your own handbag wardrobe. 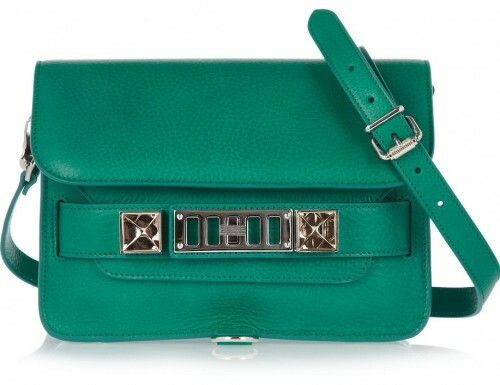 Proenza Schouler may just be the next must-have name in bags. Their clothing is fabulous, this is a fact, but I feel like they have really stepped it up in the handbag department as well. 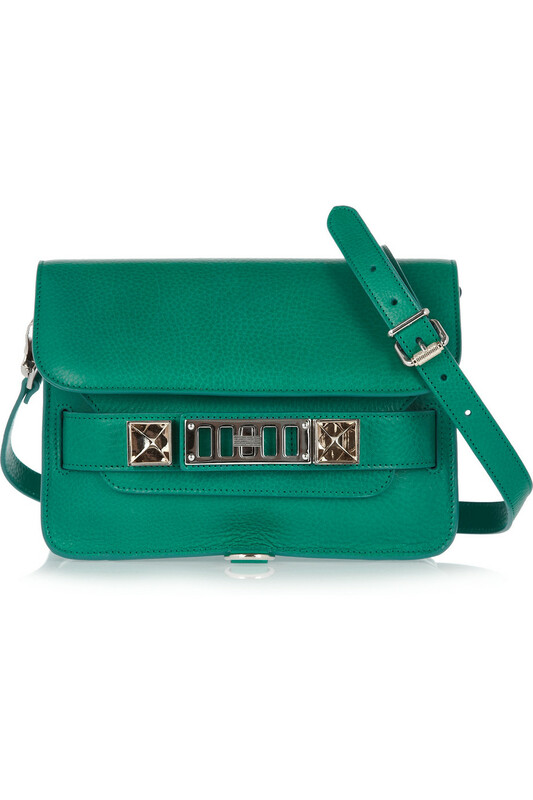 This PS11 Mini teal calf leather shoulder bag is gorgeous. The shade is perfect for any season, which makes it a great investment. 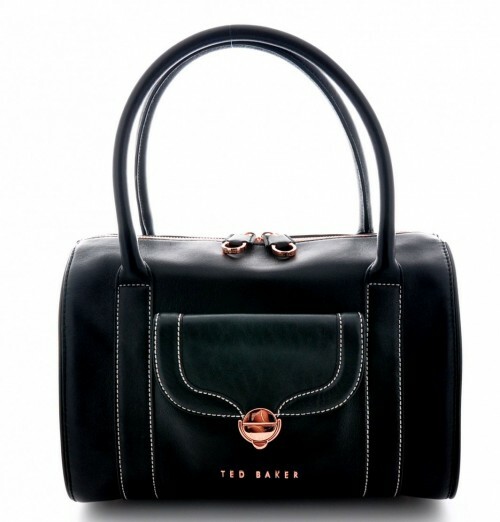 I love a bowler bag because it can be paired with the most casual outfit as jeans, a white tee, and flats or the fanciest cocktail dress and classic pumps. 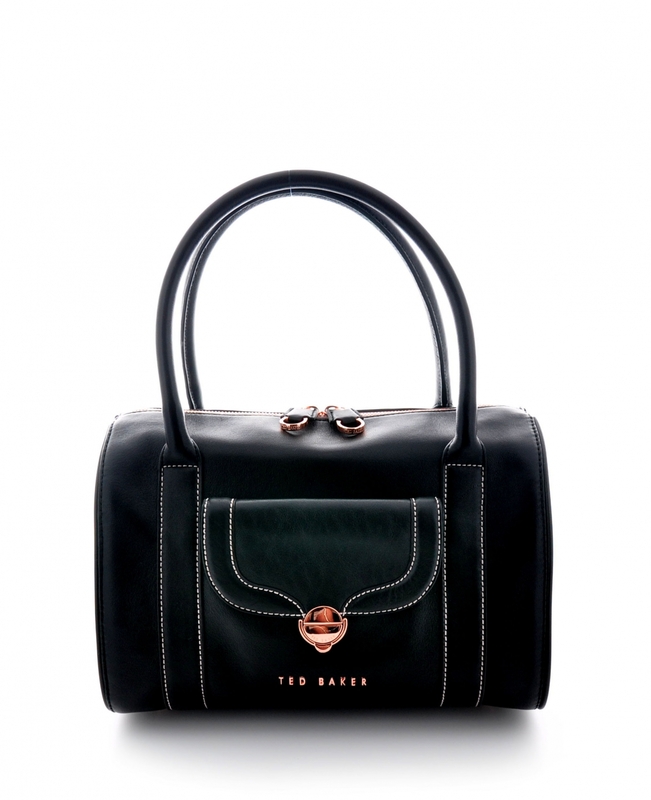 Ted Baker’s Clove bag is especially great because of its classic appeal with the lines of old fashion stitching and metallic buckles. 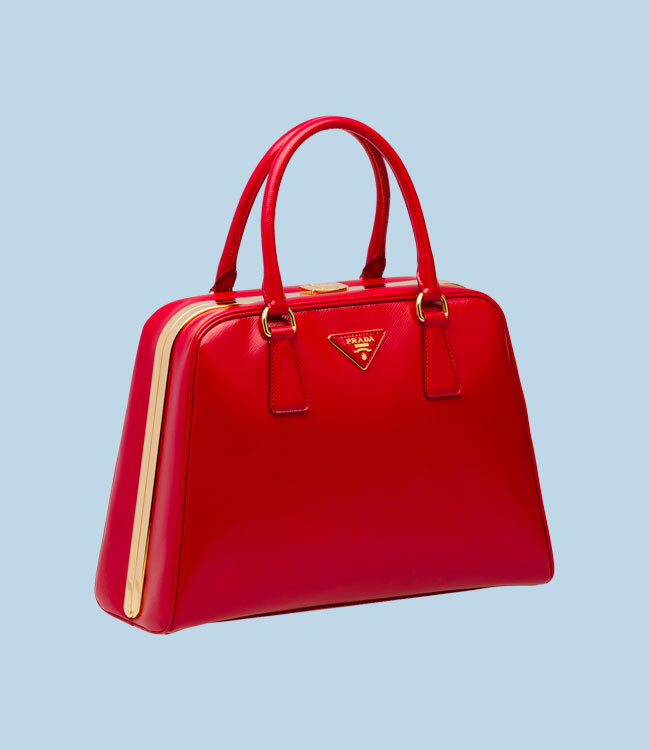 And a handbag to have just because it looks amazing… This Prada saffiano patent leather tote is a stunner. You will have all eyes on you the minute you walk through the door (at the grocery store or the tents at fashion week). 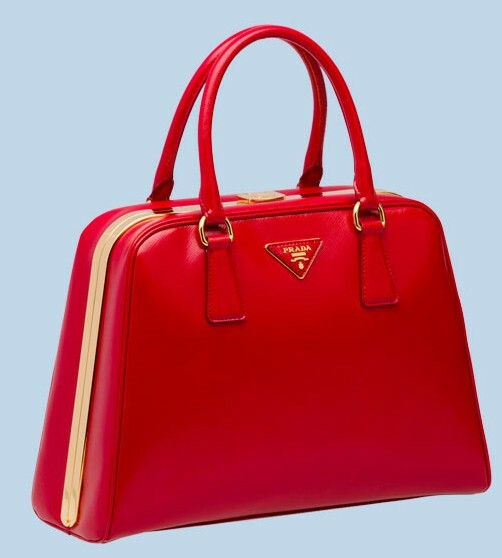 The trapezoid shape combined with gold-plated hardware and the spring hinge closure create a chic but highly-unique bag. I am obsessed with the emerald (well any dark fabulous shade of green) trend that has made its way into the fall spotlight. And this Céline shoulder bag has just sealed the deal, taken my breath away, and stolen my heart. 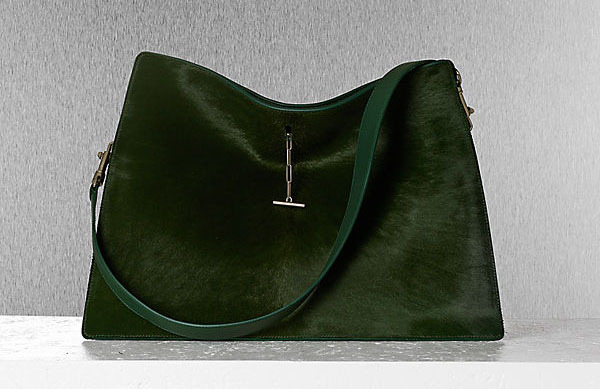 The emerald pony hair, the slouchiness of the bag, and the sheer simplicity make it flawless. Then there are the bags you have to have just because they are fun. 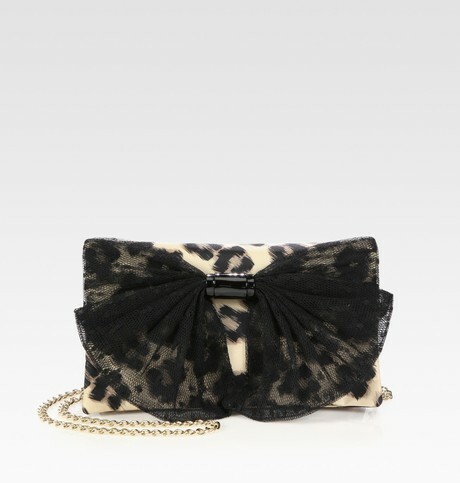 As I was walking through Saks Fifth Avenue last week I spotted this perfect party clutch by RED Valentino. Countdown to NY Fashion Week!